This seems left behind. No fence in sight. Looks like the reverse side would show more of the subject. it's difficult to understand the title and connection to the subject here? is it a fence? pic is a bit on the small side. 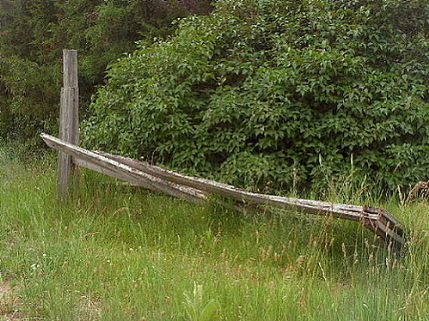 title does nothing for me - it does not explain what i am seeing, a very documentary like photo of a broken gate. No story, no emotion. Proudly hosted by Sargasso Networks. Current Server Time: 04/19/2019 10:42:33 PM EDT.